Prof. Gene Cooperman received his Ph.D. in Applied Mathematics from Brown University in 1978. He was a Principal M.T.S. at GTE Laboratories for six years, before coming to the College of Computer and Information Science at Northeastern University in 1986. He became a full professor in 1992. His research in large problems in computational algebra led naturally into his current research on high performance computing. A constant theme of this research is the balance of many architectural components (CPU, RAM, disk, network) to achieve scalable and reliable computing. He has over 60 refereed publications, and has been awarded 15 grants from the National Science Foundation. He is the head of the High Performance Computing Lab at Northeastern University. He is also the director of the Institute for Complex Scientific Software, an inter-disciplinary collaboration across five departments at Northeastern University. Prof. Mohammad Ishak Desa is currently a Professor and the Dean of the Faculty of Information and Communications Technology, Kolej Universiti Teknikal Kebangsaan Malaysia (KUTKM). He has been with KUTKM since early 2001, and is one of the first key architects of KUTKM's ICT courses and faculty. Dr Ishak started his career in 1984, as a lecturer then an associate professor at the Faculty of Computer Science and Information System, Universiti Teknologi Malaysia (UTM). He obtained his PhD degree from the University of Salford, UK in 1995. He has substantial experiences in academic administration and management, and has since 1989 held various administrative posts including Head of Department, Faculty Deputy Dean, and Director of Software Technology Institute. One of the biggest jobs he has handled was to manage the 2nd Phase of the Malaysian Royal Navy Computerisation Project worth RM20 million. Dr Ishak's academic and research interests are in Operational Research Modelling, Simulation and Decision Support Technology. He is also currently in the Editorial Board of the Journal of Technology Management and Entrepreneurship, and a paper reviewer of the Journal of the Operational Research Society (JORS). Professor Chaudhuri is currently the Head of the Department of Computer Science, Mathematics and Physics, University of the West Indies. Professor Pranay Chaudhuri joined the University of the West Indies in June 2000 as Professor of Computer Science. Prior to joining the University of the West Indies, Professor Chaudhuri has held faculty positions at the Indian Institute of Technology, James Cook University of North Queensland, University of the New South Wales and Kuwait University. Professor Chaudhuri's research interests include Parallel and Distributed Computing, Grid Computing, Self-stabilization and Graph Theory. In these areas, he has extensively published in leading international journals and conference proceedings. He is also the author of a book entitled, Parallel Algorithms: Design and Analysis (Prentice-Hall, 1992). Professor Chaudhuri is the recipient of several international awards for his research contribution. 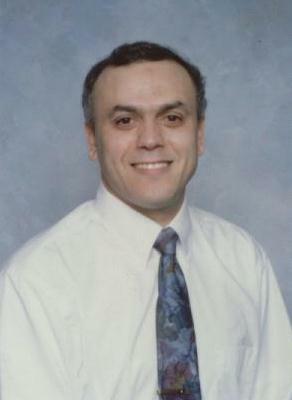 Dr. Djamel Bouchaffra is a professor of Computer Science and Engineering at Oakland University since August 2000. He is teaching Pattern Recognition (CSE 616), Soft Computing (CSE 513), Discrete Mathematics (CSE 504), Artificial Intelligence (CSE 516), Programming & Data Structure (CSE 501) and Operating System (CSE 450/550). Dr. Bouchaffra has been selected as the recipient of the Oakland University Teaching Excellence Award for 2004. This recognition acknowledges the genuine admiration of his students and his colleagues for his superior level of professionalism in teaching. His personal views on the art of teaching are published in the Oakland University Newsletters. On February 2005, he was invited by OU-TV "Focus on Faculty Program," broadcasted on Comcast cable channel 74. His field of research is in Pattern Recognition, Machine Learning, Data Mining, Artificial Intelligence and Soft Computing. His goal is to develop mathematical models that are capable to: (i) represent optimally structural patterns, (ii) decide under uncertainty, and (iii) classify these complex patterns. His areas of application involve speech recognition, handwriting recognition, bioinformatics, and natural language processing. Professor Bouchaffra is the director of the Pattern Recognition and Machine Intelligence Laboratory (PARMIL) where he is supervising several Ph.D. and master students. He chaired several sessions in conferences; he is one of the general chairs of the conference ICSIT'05 (www.icsit.org). He is a regular reviewer for many journals such as IEEE TPAMI, TNN, TKDE, and Image Processing. Professor Bouchaffra is an Associate Editor of the Journal of Pattern Recognition. Prof. Malur K. Sundareshan has been on the faculty of the Department of Electrical and Computer Engineering at the University of Arizona, Tucson, Arizona, since 1981, where he is a Professor. He is also the Director of the Information Processing and Decision Systems Laboratory at the University of Arizona. He held various visiting faculty positions at the Indian Institute of Science, Bangalore, India, at the Santa Clara University, California, and at the Concordia University, Montreal, Canada between 1973 and 1976. From 1976 to 1981, he was on the faculty of the Department of electrical engineering at the University of Minnesota, Minneapolis, Minnesota. From 1985 to 1989 he served as the chairman of the Systems Group coordinating the activities of the Communications, Controls and Signal Processing faculty. His current research interests are in signal and image processing, control and guidance, computer/communication networks, and neural network theory and applications. He is the author or co-author of several papers in these areas and is a co-author of the book Fullerene C60: History, Physics, Nanobiology and Nanotechnology. His current and past research has been sponsored by Air Force Office of Scientific Research (AFOSR), Air Force Wright Laboratory Armament Directorate, Army Research Laboratories (ARL), Ballistic Missile Development Organization (BMDO), U. S. Department of Transportation (DOT), Office of Naval Research (ONR), National Science Foundation (NSF), American Cancer Society, National Institutes of Health (NIH), and a number of industries including Rockwell International, Hughes Missile Systems Corporation (HMSC), Gemini Consortium, and others. He has served as a consultant to a number of companies and organizations including Burr-Brown Corporation, Rockwell International, Battelle Research Laboratories, Intelligent Optical Systems, Innoveyda, and Johnson Smith University. Prof. Arun Agarwal started his career as a Senior Research Assistant in IIT Delhi in 1979 and then joined University of Hyderabad in 1984, where at present he is a Professor and Head of Department of Computer/Information Sciences. At the University he is also a Vice-Chairman of University of Hyderabad Campus School, Professor-in-Charge of Centre for Modelling Simulation and Design and Professor-in-Charge of Computer Centre. Professor Agarwal was a Visiting Scientist at The Robotics Institute, Carnegie-Mellon University, USA and Research Associate at Sloan School of Management, Massachusetts Institute of Technology, USA. He has also visited, Monash and Melbourne University in Australia; National Center for High Performance Computing, Hsinchu, Taiwan; Chinese Academy of Sciences, Beijing, China; San Diego Supercomputing Centre USA; and BioInformatics Institute in Singapore. He is on the Editorial Board of International Journal of Pattern Recognition (RBCS); Fellow of IETE, Senior Member of IEEE, USA; Expert Member of AICTE to recognize new colleges to start engineering courses; Member of Board of Studies of several Universities. He was Chairman of IEEE Hyderabad Section for the years 2001 and 2002. He has served on the technical program committee of numerous conferences in the area of Pattern Recognition and Artificial Intelligence. He has served as committee chairs of a number of these conferences. He is also on the Steering Committee of PRAGMA, Member APGrid PMA. His areas of interest are in Computer Vision, Image Processing, Neural Networks and Grid Computing. He has guided more than 100 post-graduate dissertation and has published more than 70 papers. He has several projects and consultancy in hand with several industry/research laboratories. Prof. Castillo is a Professor of Computer Science in the Graduate Division, Tijuana Institute of Technology, Tijuana, Mexico. In addition, he is serving as Research Director of Computer Science and head of the research group on fuzzy logic and genetic algorithms. Currently, he is President of HAFSA (Hispanic American Fuzzy Systems Association) and Vice-President of IFSA (International Fuzzy Systems Association) in charge of publicity. Prof. Castillo is also Vice-Chair of the Mexican Chapter of the Computational Intelligence Society (IEEE). Prof. Castillo is also General Chair of the IFSA 2007 World Congress to be held in Cancun, Mexico. He also belongs to the Technical Committee on Fuzzy Systems of IEEE and to the Task Force on "Extensions to Type-1 Fuzzy Systems". His research interests are in Type-2 Fuzzy Logic, Intuitionistic Fuzzy Logic, Fuzzy Control, Neuro-Fuzzy and Genetic-Fuzzy hybrid approaches. He has published over 50 journal papers, 5 authored books, 10 edited books, and 150 papers in conference proceedings. Prof. Vittorio Zanella received his PhD. in Computer Science in the National Institute of Astrophysics, Optics and Electronic (INAOE), Mexico and his M.S. and B.S. degrees in Computer Science in University Autonoma de Puebla (UAP), Mexico. He is a Full Professor of Computer Engineering at University Popular Autonoma del Estado de Puebla (UPAEP), Mexico since 1998. His research interests include robotics, computer vision and machine learning. Professor Jiah-Shing Chen received a B.S. degree in Mathematics from National Taiwan University in 1984, a M.S. degree in Computer Science and Information Engineering from National Taiwan University in 1986, and a Ph.D. degree in Computer Science from State University of New York at Buffalo in 1992. He is currently a Full Professor in the Department of Information Management, National Central University, and an Associate Director of Enterprise Resource Planning Center, National Central University. His current research interests include Artificial Intelligence, Intelligent Information Systems, Soft Computing, Data Mining and E-Commerce. Dr. Chen is Editor-in-Chief of the Journal of e-Business (2004/10-), and Editor-in-Chief of the Journal of Information Management Research (1999/10-2003/9). He is also on the editorial board of Asian Journal of Information Technology. Dr. Erich Schikuta is Associate Professor at the Institute for Computer Science and Business Informatics at the University of Vienna, Austria. He obtained his Dr. Techn. Computer Science (Informatik, with honours), from Technical University of Vienna, Austria, in 1987. His research interests are currently in cluster and Grid computing and Internet-based applications. He has been a member and chair of program committees of many international conferences. Further he is appointed expert evaluator of the European Commission. Dr. Hana Rezankova is an Associate Professor at the Department of Statistics of the University of Economics, Prague (VSE), Czech Republic. She finished her PhD studies at the VSE in 1988. She executed a position of Vice-Dean in Charge of Student Study Programmes at the Faculty of Informatics and Statistics of the VSE from 1998 to 2001. She is a member of the International Association for Statistical Computing. She was a member of the Board of Directors of the European Regional Section of this association from 2000 to 2004. Her publications focus mainly on categorical data analysis and cluster analysis. Dr. Patrice Wira is with the MIPS laboratory (Modelisation, Intelligence, Processus et Systemes) of the University of Haute Alsace where he is an associate professor since 2002. He received the M.Sc. degree and the Ph.D. in electrical engineering, all from University of Haute Alsace. His current research interests are artificial neural networks, adaptive control systems and neuro-control applied to robotics and to visual servoing. His research works also include artificial neural networks applied to harmonic compensation and active power filters. Dr. Jih-Fu Tu received his Ph.D. in Computer Science from Preston University in 2003. He is also the associate professor of the Electronic Engineering Department of the St. John's University, Taipei, Taiwan. He was a technology consultant of WanWell Cop. He is interesting in the computer architecture of the multiprocessor systems and the multithreaded processors, the discrete event systems (DES), the VLSI design, and the I/O devices design of computer. He was also the peer reviewer of The Journal of Supercomputing, the Conference of CIMCA05/IAWTIC05, etc. He has published over 20 journal papers, 5 authored books, 7 edited books, and 30 papers in conference proceedings. Dr. Leonid V. Stoimenov received the BSc, MSc and PhD degrees in computer science at the University of Nis, Serbia. Hi is currently an associate professor in the Department of Computer Science (Artificial Intelligence and Databases) at Faculty of Electronic Engineering at this University. His research interests in computer science include GIS, databases, mediators, ontologies, semantic interoperability, artificial intelligence, and Semantic Web. He is author or co-author of 4 manuals for students, and more than 80 articles on topics such as mediators, ontologies, semantic interoperability, GIS, B2B, expert systems, multimedia and emergency management systems. He is a member of IEEE and representative in AGILE association of GIS laboratories in Europe. Recently in 2005 he has been working with the following projects as project leader: 1. Geographic Information System for documentation, maintenance and analysis of electric power networks. (User: JP Elektrodistribucija, Nis., Duration: 2005/2007); 2. Multimedial Platform for Emergency Management in Technological Systems. (User: INKOPLAN, Nis., Duration: 2005/2007). 3. MEDOS �V Multimedial System for education of hard of hearing children. Dr. Seng W. Loke is currently Faculty of Information Technology Senior Research Fellow at Monash University. He received his PhD in Computer Science from the University of Melbourne in 1998.
and device ecologies), agent systems, service-oriented computing, and large scale open systems technologies. Dr. Filippo Neri is Senior Lecturer in Computer Science - Ricercatore universitario in Informatica, Italy. Dr. Neri has directed a nationally funded research project (FIRB) plus several locally funded ones some involving industry collaborations. DR. Neri obtained the Ph.D. in Computer Science, graded 'Excellent', from University of Milan, Italy in 1997. The main research areas include Machine Learning (Symbolic concept learning and knowledge based learning), Data Mining (application of concept learning systems to real world problems), Agent based modelling of complex systems (consumers market). Dr. Cecilia Zanni was born in Buenos Aires, Argentina. She received a Ph.D. degree in Computer Science from the Universite d'Aix-Marseille III, in Marseilles, France, where she worked at LSIS - Laboratoire des Sciences de l'Information et des Systemes. Nowadays, she works at LGeCo - Laboratoire de Genie de la Conception - in Strasbourg, France and teaches at the Marc Bloch University, also in Strasbourg. Her main research interests are in conceptual representation and inference processes applied to problem solving in Engineering. 2003. She has been (co-)author of more than 40 scientific papers at scientific conferences and workshops. She is member of programme committees, editor committes at scientific conferences. Her research interests are: Networking; Grid computing; Multi-agent systems; Fault tolerance for HPCN applications in Parallel and distributed computing. Her recent projects include EU 6FP IST RTD project K-Wf Grid: Knowledge-based Workflow System for grid Applications (2004-2006), EU 5FP IST RTD project PELLUCID: A Platform for Organizational Mobile Public Employee (2002-2004), EU 5FP IST RTD project ANFAS: datA fusioN for Flood Analysis and decision Support as well as number of Slovak national research projects (VEGA, APVP, SPVV). Dr Rowena Chau is a Research Fellow at the Faculty of Information Technology of the Monash University of Australia. She obtained her Master degree in Business Systems and PhD degree in Computer Science from Monash University, in 1997 and 2002, respectively. Her main research areas are in soft computing and its applications in knowledge discovery. She also researches in areas of computational linguistics, Web mining, text mining and multilingual content management. She has published more than thirty refereed articles in international journals and conferences. She has collaborated in several research projects and has attracted significant amount of research funding. She has served as member of review committees for many international conferences. Aleksandrs Valisevskis is currently Lecturer in AI at Faculty of Computer Science and Information Technology, Riga Technical University, Latvia. He has studied granular information and the hybridization of these paradigms. His recent research concerns fuzzy-information-based decision-making and risk analysis, which try to assess the risk when only fuzzy information about each alternative is available. He has obtained The Young Scientists Prize of the Latvian Academy of Sciences and A/S "Aldaris" for the Bachelor's Thesis "Adaptive Networks in Control and Decision Support Systems" (honoured in 2003), and The Charles Babbage Prize in 2001. The Prize is awarded for active and productive research work in Computer Science. Dr. Dang Tung is a researcher at Enterprise Research Center at University of Limerick. Between 2003 and 2005, he has been Ireland researcher of the Institute of Informatics, Slovak Academy of Sciences, Bratislava. He obtained the "Young Asian Author Prize" in the 15th IFAC Congress, b'02, Barcelona, 2002. The Main areas of his research include: Scheduling, parallel computing, discrete event systems, discrete mathematics, MAS, Agent decision-making, reasoning, Case-based, rule-based reasoning, Ontology workflow, and Adaptive controlling discrete systems. He has published more than 40 referred papers in journals and conferences. Somnath Shahapurkar has been the Product Engineer, Intel Corporation, STTD, Chandler, AZ, USA, since 2001. His main duties include: Pioneered new data analysis and knowledge extraction methods at Intel to leverage data for informed decision making to improve Silicon and package integration by fostering key partnerships between departments; Designed and developing a machine learning system for semiconductor manufacturing optimization; Designed and developed and taught an Intel University course on machine learning and statistics; Reduced turnaround time & cost of test equipment by streamlining design spec & validation procedure. His research interests include: Clustering, feature selection, microarray data analysis, bioinformatics, machine learning, artificial intelligence, industrial applications of data analysis and statistics. Dr. Qingfeng Chen received a BSc and MSc degree from Guangxi Normal University, China, and a PhD degree from the University of Technology Sydney in Computer Science. He is now a research fellow at School of Information Technology, Deakin University, Australia. He has published 20 refereed papers, including International Journal of Data Mining and Knowledge Discovery and a number of first class journals of China. One of his papers "Dealing with Inconsistent Secure Message" won the Best Paper Award in the 8th Pacific Rim International Conference on Artificial Intelligence, New Zealand, 2004 and was invited to publish in the journal of Artificial Intelligence. He has served as PC-member and reviewer for many international journals and conferences. His research interests include Data Mining, Bioinformatics, Information Security, and Artificial Intelligence. A.H. Abdul Hafez is a research scholar with the department of Computer science and Engineering, Osmania University, and IIITH, Hyderabad India. In 1997, He joined the University of Aleppo, Syria, as a lecturer. He served as program committee member for the following conferences: 11th International Conference on Neural Information Processing, ICONIP 2004, Calcutta, India; 10th, 12th, 13th IEEE International Conference on Fuzzy Systems FUZZ-IEEE 2003, FUZZ-IEEE 2004, FUZZ-IEEE 2005. He published two books in computer science and many papers. His interest area of research is Artificial intelligence, Intelligent control, and robotic vision.